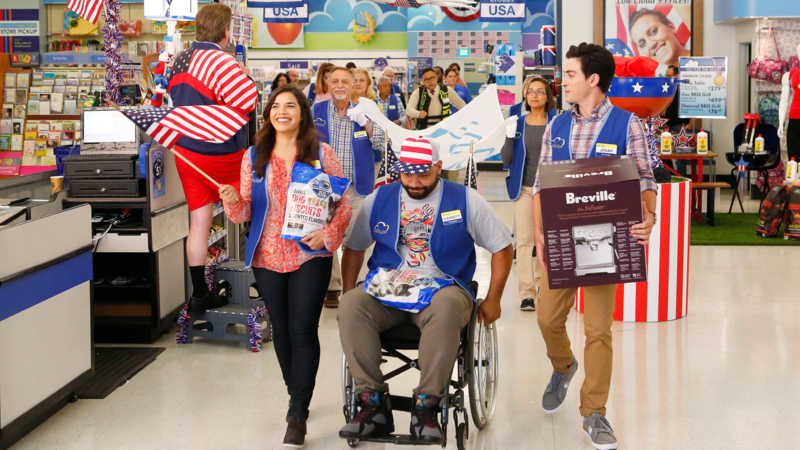 The only job that comes close to watching TV for a living is working at the Cloud 9 mass-mart store in comedy series Superstore (2015-current, Seasons 1-3 are now on Showmax). You get paid to mess around with your mates all day and the work is minimal – even for the lowest of low staffers, you pack a couple of shelves, re-stock items, have two-hour meetings in the middle of the day, and then go home. Who wouldn’t want a job like that? Even rebuilding the store was pretty easy after a tornado ripped its roof off in the Season 2 finale. A couple of nail-guns here, a slick of paint there and presto! They’re back in business! 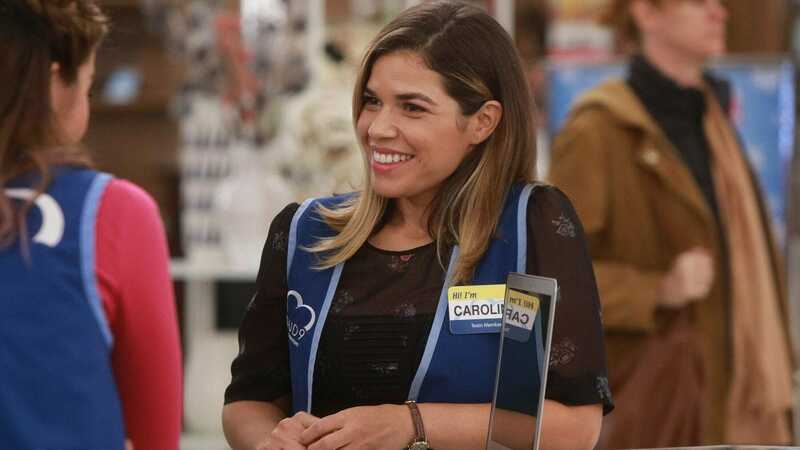 But that’s a bit of an issue for assistant store manager Amy (America Ferrera), who’d rather not be at the Cloud 9 store after smooching her good-guy-colleague and crush Jonah (Ben Feldman) as the wind storm threatened to kill them. Superstore creator Justin Spitzer adds that “it’s definitely a giant step forward [for Amy and Jonah’s sexual tension]. You can’t argue with that. We spent so long slow-burning their relationship that we wanted to take a giant, reckless leap forward”. This third instalment is dealing with everything from skeletons in the wall to a baby surprise, and even one staffer who lies about being naughty in the store just to feel like part of the team. And there’s a recurring theme for Amy and Jonah – they’re sticking together like a fly and that horrible sticky stuff on flypaper. They have had this on-off love-hate bond since Season 1 and it’s only going to get stronger, because offscreen America and Ben have been spending a lot of time together. No, not like that – they’ve both directed episodes this season and shared tips on what to do, what to avoid and how to get the best of their directing opportunities (and just FYI, America can direct what she wants, when she wants because she’s one of the show producers). It’s time to hit the store – binge-watch the whole of Season 3 on Showmax. Royalty pains: if you had a shot at the crown, would you take it?